Last week I did Jelly Belly Chris so this week I want to show you Frankie’s belly. He shows off his belly quite often and here are a few recent examples. Of course, Frankie doesn’t really have a jelly belly like Chris but I think he is equally cute. What do you think? 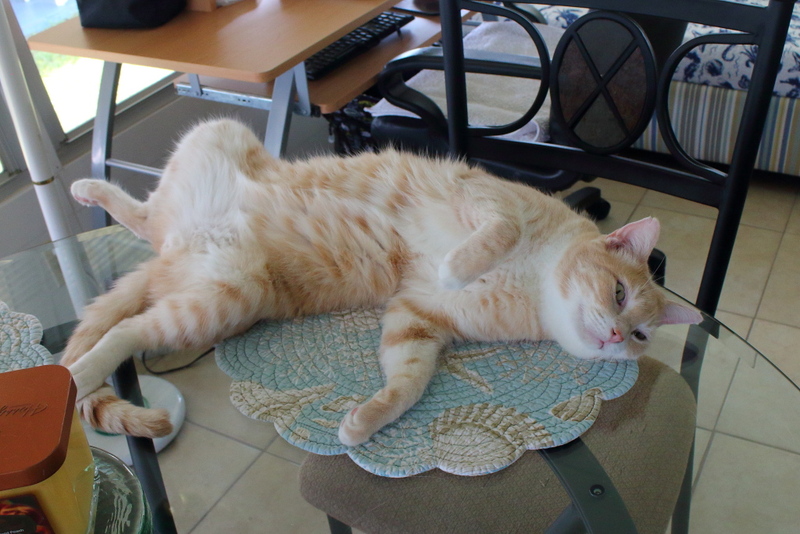 This entry was posted in Uncategorized and tagged belly, cat, cute, ginger, jelly belly Friday on April 12, 2019 by Charles Huss. As you know, Frankie loves showing off his belly so here is another one for #JellyBellyFriday. Are you tired of seeing it yet? This entry was posted in Uncategorized and tagged #jellybellyfriday, belly, cat, cute on August 3, 2018 by Charles Huss. Here is Frankie on our catio letting it all hang out while Floki watches. 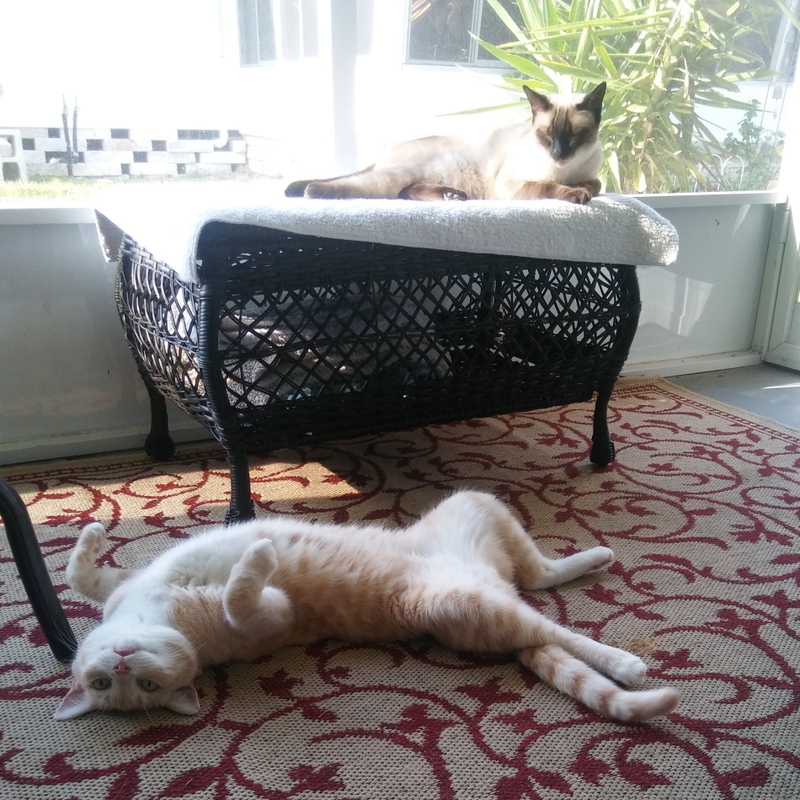 This entry was posted in Uncategorized and tagged #jellybellyfriday, belly, catio, Cats, cute on June 8, 2018 by Charles Huss. 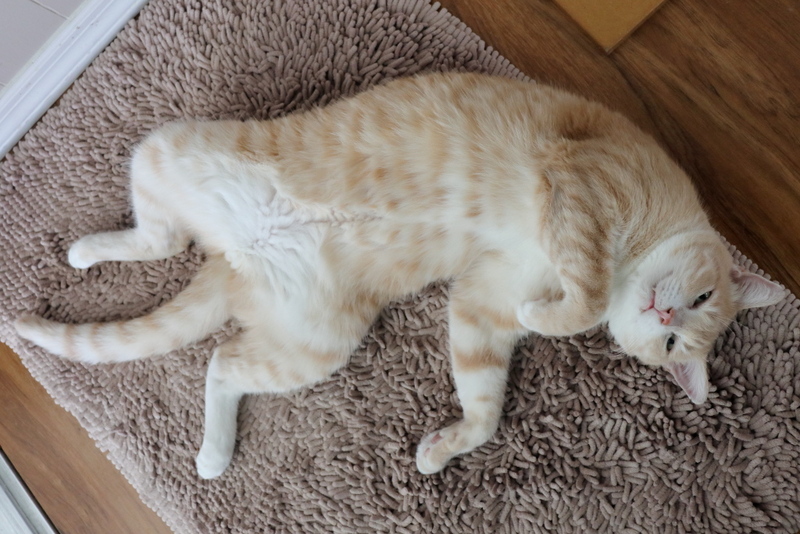 A cat who displays his or her belly is showing that they are content and that they have total trust in you since this is a very vulnerable position. Frankie spends much of his nap time this way. This entry was posted in Uncategorized and tagged belly, cat, cute, nap on March 16, 2018 by Charles Huss. I don’t know where it started but #jellybellyfriday has become popular on Twitter. 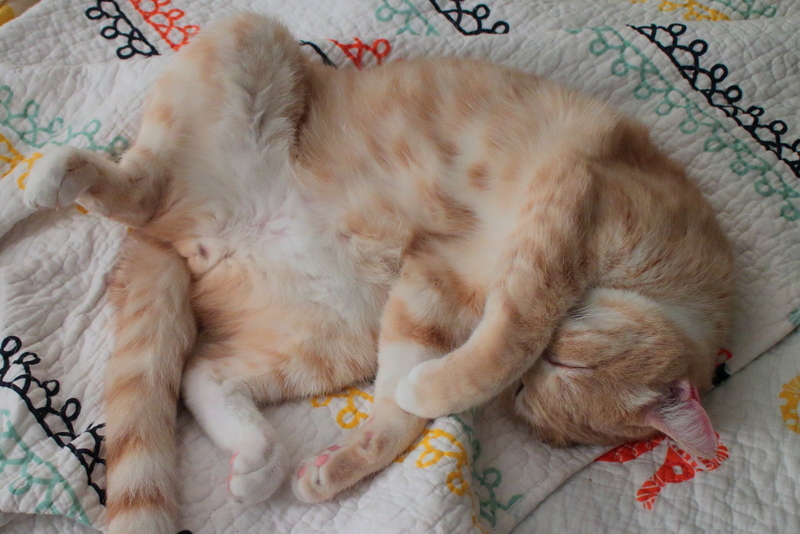 I know WordPress isn’t Twitter but it is Friday so I thought I would show our cat Frankie showing his belly. 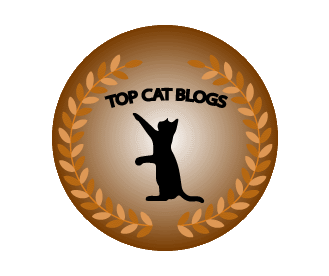 This entry was posted in Uncategorized and tagged #jellybellyfriday, belly, cat, cute on September 23, 2016 by Charles Huss.